UTEL have recently released a new Fibre Optic Test Access Switch. The robotic switch 'Input' is connected to the OTDR test equipment and then offers a connection to 36 or 60 'Output' ports. The switch can be cascaded to increase the number of ouputs. Using an OTDR at 1650nm wavelength means the customers service is not affected during testing. 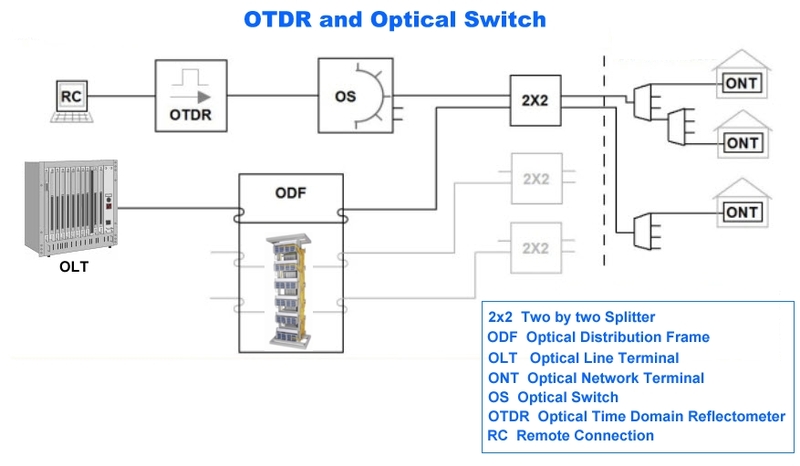 The OTDR does not require mirrors or reflectors and can see through several splitters. Software is provided with the switch and can be configured by the user to see individual switches or con-current numbered switches. It is also possible to set up a profile to scan round the outputs, stay on a port for minutes or hours or simple do a one shot test. The type of output sockets on the panel can be defined by the buyer, an OEM version with bare fibres is also available. Cable management and including splitters or WDM devices is also possible.